Usually when we think of removing a tree, we don’t tend to worry about the stump. Tree stumps can be found in forests and yards, they are often thought of to be whimsical or tell a story about a tree’s life. As harmless as tree stumps may seem, they serve as a suitable host for underlying issues. Tree stumps are usually left in the ground after a tree felling service, however the tree stump can remain alive and become a place for new trees to sprout out of the roots or stump. If you are looking to permanently remove the tree, then it is as equally important to invest in a stump removal service at the same time as your tree servicing. If the stump is dead, it can still cause problems. The stump can become a host to root diseases. These diseases will travel underground through the trees roots and will attempt to kill the roots of any other plants in its path. There are a few plants that have resistance to root diseases, but most do not. Most commonly, root diseases pray on perennial plants Paying to have the stump removed will eliminate all chances of the remnants of the tree causing other issues throughout your yard. 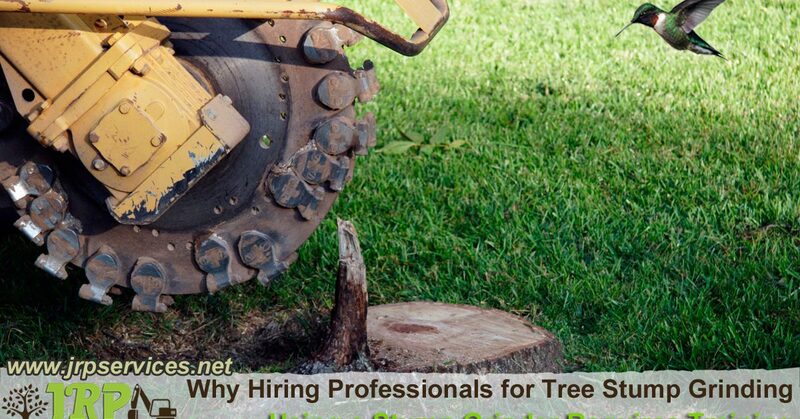 JRP Services Inc. of Houston, Texas provides tree felling and removal services as well as a stump removal service. Don’t become a victim of a fallen tree. Remove the tree, stump, and roots completely to prevent future complications in your yard. The tree services offered by JRP Services allow you to keep your yard looking well kept at affordable prices!